After a successful first Cyprus Gaming Show (CGS) in 2017, Eventus International was “excited” to host the second instalment of the event. David Schollenberger, Partner and Head of the Gaming Team at Healys LLP solicitors in London and Chairman of this year’s CGS, said this year was “bigger and better than ever”. 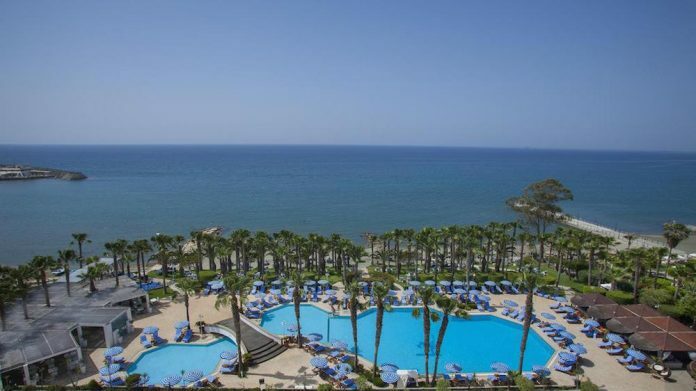 He said that with the coming ground breaking of the Cyprus Integrated Casino Resort and the planned opening of the temporary casino in June, there is “definitely excitement in the air”. “The expansion of sports betting and the National Betting Association’s proposed amendment to the Betting Law 2012 also expands the products available to sports betting licensees. The Conference provides a unique forum for the gambling industry and its consultants and suppliers to network and exchange views,” said Schollenberger. Day 1 of the event kicked off with opening remarks from the chairperson David and welcoming remarks from Ioanna Fiakkou, Chairwoman, National Betting Authority, Cyprus and Michalis P. Michael (Invest Cyprus). This was followed by a presentation from George Campanellason “Investing in Cyprus”. Tomas Drakšas, (Edgeless) gave a presentation on “Virtual world economy merging with ‘real world’ Economy”, while John Karantzis (iSignthis) spoke on KYC. Robert Brassai (Sense4Gaming) presented on “Big Data in Land Based Casinos”, with Margaret A Pitiris (Human Capital Solutions) giving a presentation on one of the most trending topic in the industry today – “The Game Changers: Talent Inclusiveness and Diversity in the Gaming Industry”. What followed were two panel discussions with key discussions on the current market of gaming in Cyprus & its future and the ICR, which all had eminent panellists such as Joseph Avraamides (Association of the Online Betting Companies), Spyros (National Betting Authority Cyprus) and Stelios Eleftheriou (Parimatch Cyprus). The rest of the evening saw delegates enjoying a cocktail reception sponsored by the NBA. Day 2 was kicked off by Andreas Zachariades (Board Member of the Gaming and Casino Supervision Commission), followed by a presentation on the ICR by Craig Ballantyne (Integrated Casino Resort Cyprus)& responsible gaming by Isobel John. Philippos Katranis (Cyprus Integrated Casino Resort Steering Committee) joined the ICR panel, along with Andy Choy and Craig. Aristodemos Kolocassides presented on sponsorship in gaming. The rest of Day 2 offered four panel discussions on GDPR, AMLD, future opportunities and the tax landscape in Cyprus.